Lucas has come to the writing retreat to write an overdue, difficult, novel, living under the shadow of his last best-seller and a personal loss. It’s just coincidence that the retreat is located in his childhood town. There he finds Julia, the retreat owner, suffering her own loss following the disappearance of her daughter and the death of her husband. Everyone tells Julia her daughter is dead but she refuses to believe them. When mysterious events begin to occur in the house rumours abound about a legendary widow but Lucas and Julia are sure they are on the hunt for more someone more real and more dangerous. There is a sense of malice running through the novel. There is the claustrophobia of the small town, the fact that everyone knows everyone else. The retreat itself seems closed off, separated by Julia’s grief as much as geography. There’s the legend of the Widow, weaved throughout the story and then there’s the fact that Lucas is a horror writer so sees the macabre in things in any event and finds it easier to see the story of his bestseller reflected in his surroundings. There are a host of characters that fill the story, some having more involvement than others. There’s Karen, whose claims of things going bump in the night are questioned as being the result of drug use, Max who at first appears to be nothing but a snobbish Lothario and Suzi, a fellow resident at the retreat. There are the locals who all have some secret to hide. Then there’s Lucas and Julia. Lucas is a mixture of driven and despondent. His motivation for helping Julia seems to be driven as much by desire as it does by altruism. Julia herself is understandable downcast. She flits between melancholy and fierceness, sometimes to the point where the ferocity of her actions is a little extreme. There doesn’t seem to be much happening for the first third of the story and then the pace picks up and the narrative kicks in. Some parts worked better for me than others. As said previously the sense of claustrophobia and malice was created well in the story, with seeds of doubt sown throughout and the limited character/suspect pool lends suspicion to be thrown every which way. The setting of the story in the retreat worked well and I enjoyed the air of suspicion a group of people used to making things up created. 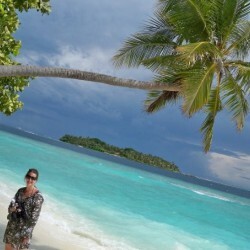 It also made me want to attend a retreat and get writing, though perhaps not at this particular retreat! There were parts that didn’t work so well for me, such as a rather incongruous love scene and the last couple of pages seemed a little too much, though I could see how they could also be argued as vital to the story. 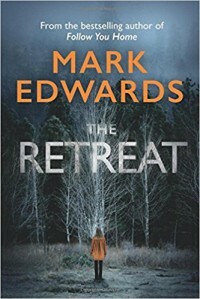 If you like your thrillers with a hint of horror to them then The Retreat is for you. An interesting read.